Time to empty out what's left of your GTA Online bank account by spending it all on more cars, clothing, and weapons with the Ill-Gotten Gains Update Part 2 which is now available across all platforms. 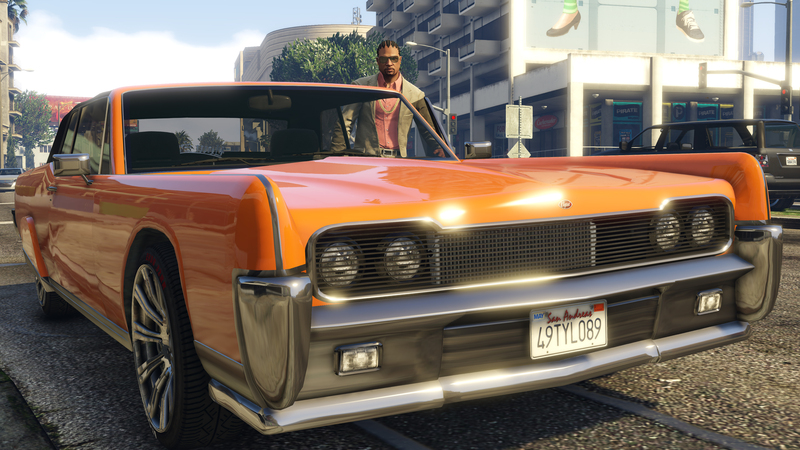 Part 2 of The Ill-Gotten Gains Update for GTA Online delivers desirable new vehicles, unforgiving new weapons and clothes to make you stand out in a crowd. For the unconventional, the Coil Brawler is a luxury sports-styled off-roader with raised suspension and a 400 horsepower engine that will muscle its way over any terrain. 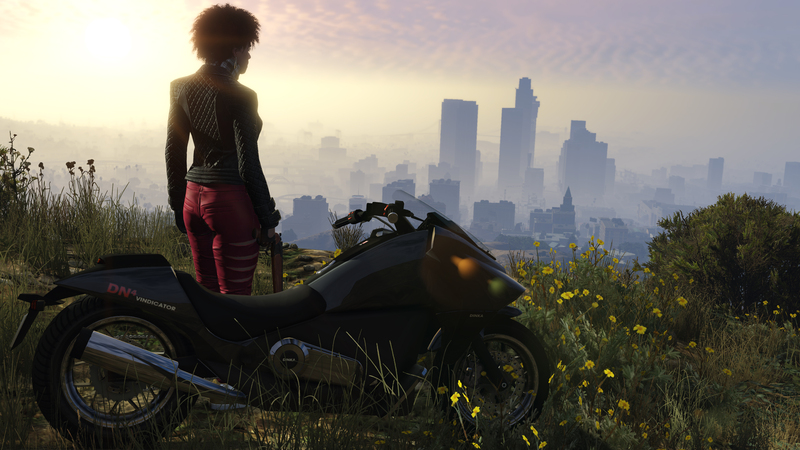 If top speed is what matters most, the Progen T20 is among the fastest cars to ever arrive in Los Santos, and the Vapid Chino brings some old school sedan brawn to your vehicle collection, while the Dinka Vindicator motorcycle adds agility and speed, featuring a kinetic energy recovery system (KERS) that stores energy from braking and delivers a burst of speed on activation. For a level of refinement that only dirty money can buy, the Lampadati Toro screams sophistication – a speedboat crafted with the finest timber from protected rainforests, six-inch lacquer finishing and twin v12 engines. Meanwhile, a range of exotic weaponry hits Ammu-Nation with the wood-finished Marksman Pistol, a single-shot weapon with more stopping power than a pump action shotgun or the slightly more personal, solid gold Knuckle Dusters. For those who prefer to wear their status as conspicuous consumers, the iFruit Snap Watch adds a hint of tech savvy to your wrist, or opt for a more classically opulent timepiece with the Medici Radial or Covgari Universe – all available at retailers across Los Santos alongside a massive selection of new apparel and jewelry for men and women. In other news, The Ill-Gotten Gains Update Part 2 brings the release of the new radio station, The Lab on all four console versions of GTAV. Hosted by Dr. No and the Chemical Bro., The Lab features new tracks created by The Alchemist and Oh No and inspired by their work on the original score for GTAV, with guest appearances from Killer Mike, Little Dragon, Earl Sweatshirt, Phantogram, Freddie Gibbs and more. To help get you into one of their new vehicles, the esteemed salesmen at Legendary Motorsport are offering a one-time 25% REBATE on your next qualifying purchase this week (July 8th – 15th). All you need to do to qualify for this special limited-time offer is have your email address registered and verified with the Rockstar Games Social Club, be a member of the Rockstar Games Mailing List and join a Crew. 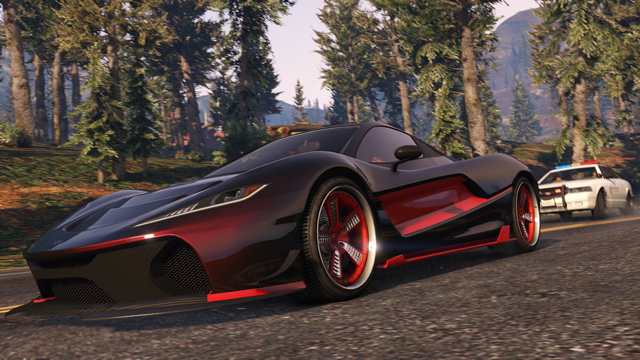 The cash from the Legendary Motorsport rebate will be deposited in your in-game Maze Bank account by Sunday, July 19th. To fulfill these requirements, login to your Social Club profile. If your profile already meet these three requirements, just visit Legendary Motorsport in-game and purchase your new ride. And as always, this new Title Update (1.28) additionally includes many other new enhancements, improvements and fixes for known issues. Amongst these items by popular demand will be the ability for creators to make custom Jobs at the Los Santos International Airport and the Fort Zancudo Military Base for the first time. Rockstar can’t wait to see what the Creator community cooks up in those previously off-limits areas. They've received lots of other fantastic feedback to the official GTA Online feedback inbox from the Creator community about features they’d like to see. One such update that they are currently working on for a next update is a new feature to enable creators to properly stack props, adding proper support for that highly-requested feature powering super fun mega-ramps, loops and parkour courses – please stay tuned for more information on that. Rockstar encourages all players to please continue sending your wishlists and suggestions to [email protected] as it is of invaluable help in informing positive fixes, tweaks and other updates to the game. Lastly, head to Rockstar Downloads for digital versions of the new ILL-GOTTEN GAINS Part 2 artwork seen above now available as desktops, Twitter and Facebook headers, avatars and more. And stay tuned for information about this weekend’s official ILL-GOTTEN GAINS PART 2 Social Club Event Weekend with special bonuses to be announced very soon! 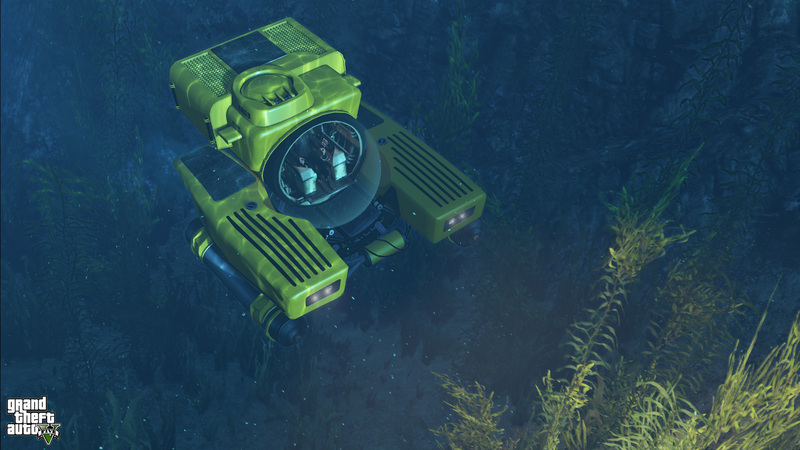 Have fun and join the chat in the forums! The t20 progan looks like mclaren 650lt. I apologize for all of those silly question mark symbols. I did not intend to include them in my previous post. Thatâ��s a good point. I only wish youâ��d been around approximately 26 hours ago to make that point on the â��Ill-Gotten Gains Part 2 Coming July 8thâ�� thread. Some of the postersâ�¦ ouch! Between the separate consoles and the numerous servers across the world it is not uncommon for these updates to reach different people at different times. I saw in the TV news that a computer glitch in the USA played havoc with Wall Street and an airline service. Is this what slowed down the release of the DLC? It seemed that in Australia I had access to it and was able to download it, while others could find no sign of it. 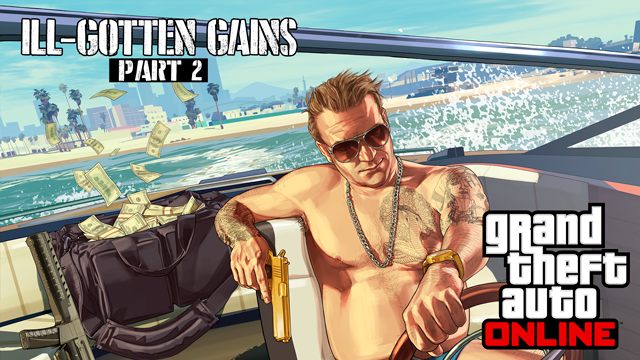 Ill-Gotten Gains Part 2 Now Available - Still have cash left after the last update? Ill-Gotten Gains Part 2 is now here to clean out your bank account.